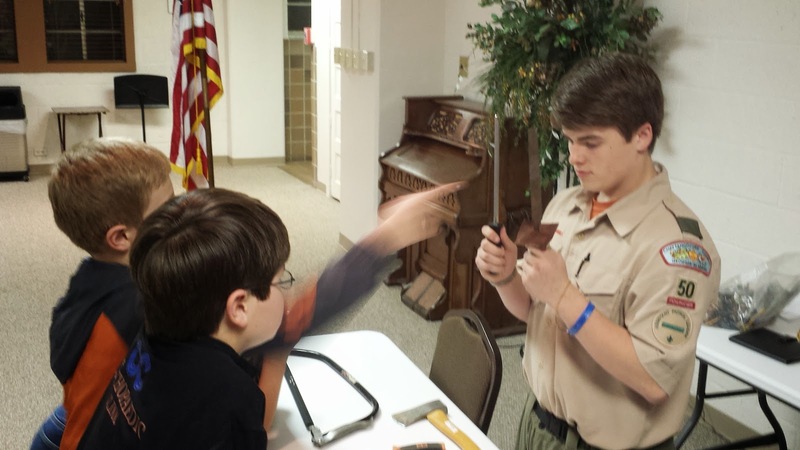 Troop 50 sharpened its knife skills with a variety of round-robin presentations during Monday night's meeting — a perfect topic for tenured Scouts and visiting Webelos from Cub Scout Pack 29 alike. 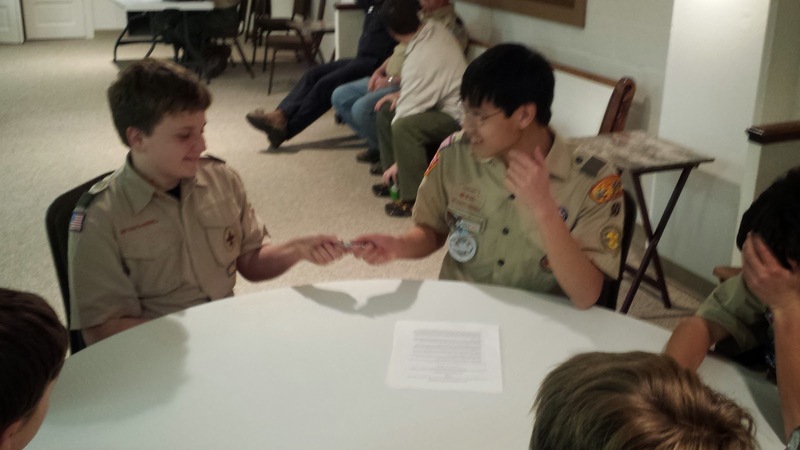 After the troop's opening ceremony, visiting Webelos introduced themselves, and everyone divided into and rotated among the various instructional stations. might expect to find in one. as the principles of a "blood circle" and other best practices. 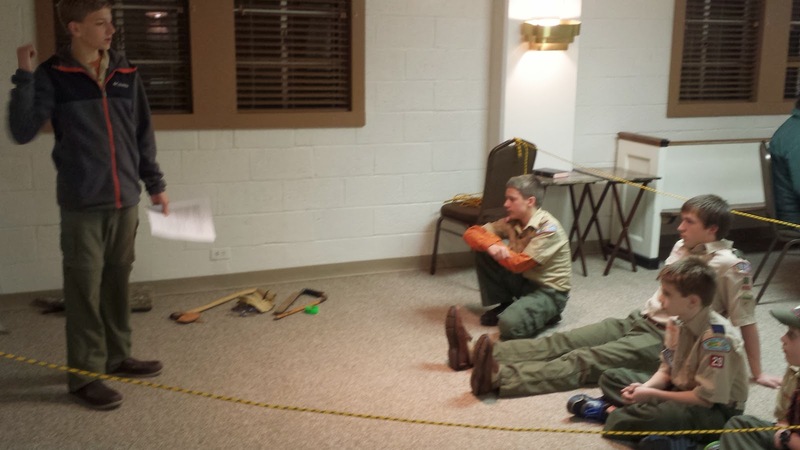 At the conclusion of the meeting, those who attended the troop's recent Gatlinburg ski trip recounted the outing, and troop leadership reminded Scouts about upcoming summer camp plans. The troop also welcomed new Life Scout Cameron, who transferred from another local troop, and presented the Totin' Chip card to Andy.